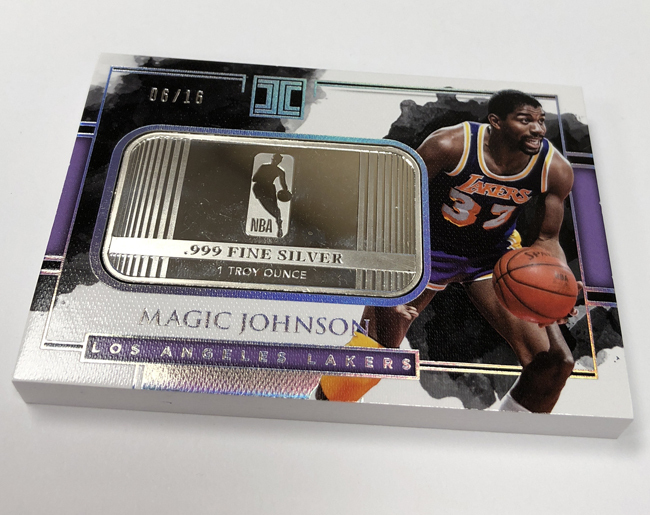 The 2017-18 NBA collecting season continues the dramatic impact the impressive rookie class had on the way things unfolded. 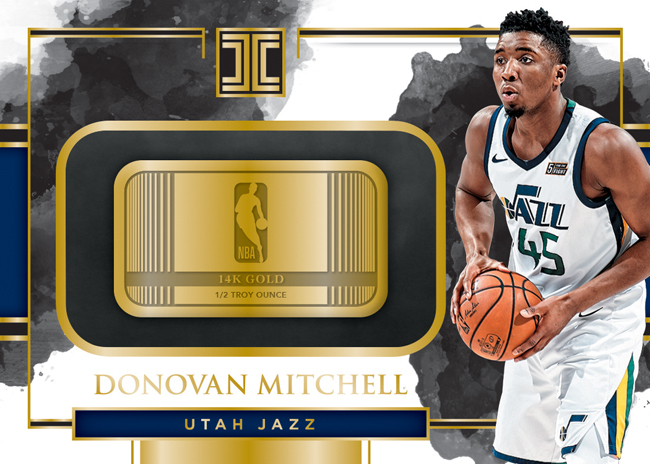 2017-18 Panini Impeccable Basketball ($507.77 per box) arrives this Wednesday at Sports Cards Plus and pays tribute not only to those impressive rookies but also to the league’s standout veterans and all-time legends. 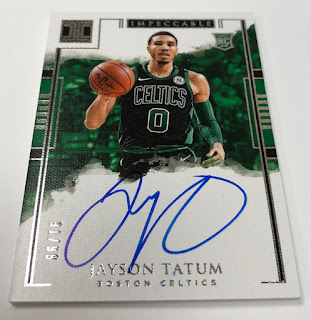 The high-end, heat-generating 2017-18 Impeccable Basketball is set deliver, on average, five autographs in each hobby box (nine cards per box, three boxes per case). Featured across the product’s impressive autograph lineup are cards numbered to a player’s jersey number, number of All-Star appearances, overall draft position and more. The spectacular Impeccable Victory Signatures chase highlights the featured player’s performance in a key victory. 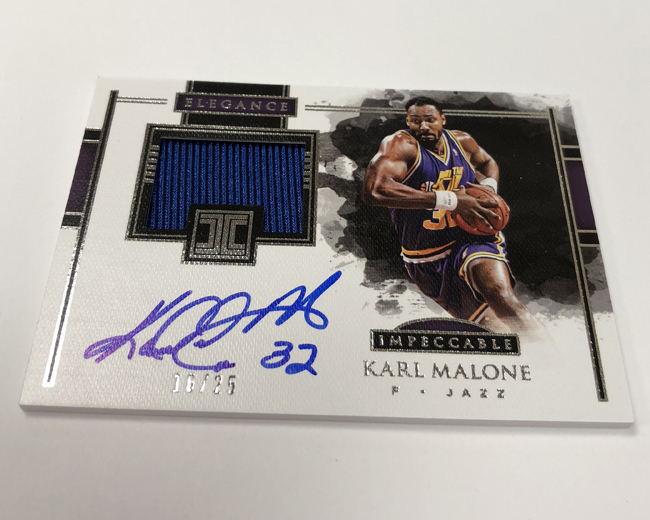 Additional highlights of 2017-18 Impeccable Basketball are many and include . 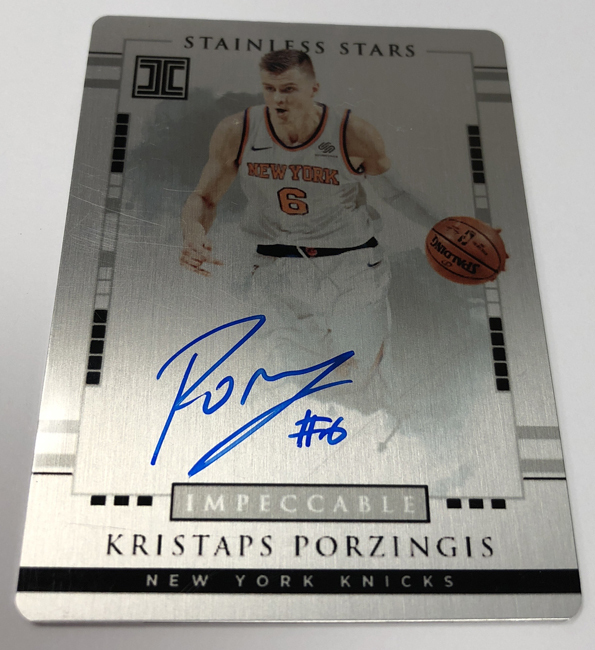 . .
New Stainless Stars cards printed on metal and numbered to 99 or less, including rare autographed versions. A wide array of autographs from the NBA’s top rookies, veterans and legends; find patch autographs in Holo Silver (numbered to 25 or less), Holo Gold (numbered to 10) and Platinum1/1 parallels. 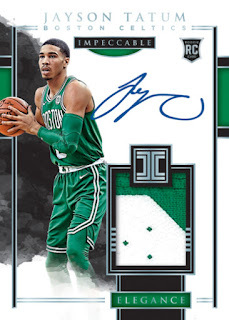 Unique autograph cards that feature sequential numbering to various accomplishments in the player’s career. 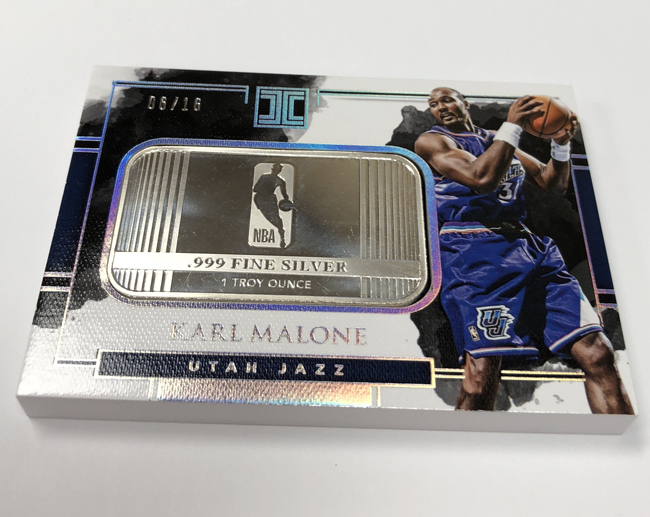 Look for one Silver NBA Logo (numbered to 16), Gold NBA Logo (numbered to 10) or Stainless Stars (numbered to 99 or less) per box, on average.